Phase 3 has been announced, and it's everything — everything you could want. Captain Marvel! Black Panther! Inhumans! And most incredibly, a two-part Avengers: Infinity War!!! We've got all the details right here! Marvel faked everybody out by first proclaiming that Captain America 3 would be titled Serpent Society (see above), but that was a fake-out. Black Panther will definitely be a part of the movie, which may mean a certain rumor about Andy Serkis playing a certain vibranium-related villain in Avengers: Age of Ultron may be true. Marvel movie mastermind Kevin Feige reveals: "Events of the whole cinematic universe will make all governments in the world want regulation. Not so much about secret identity, but about who reports to who." No casting was confirmed, obviously. Kevin Feige said specifically: "If [Doctor Strange casting] was confirmed, we would have announced it today." This will undoubtedly be somewhat based on the classic Walt Simonson storyarc from the '80s, regarded as one of, if not the, finest Thor stories of all time. If it introduces Beta Ray Bill to the MCU I will literally lose my mind. Chadwick Boseman, star of 42: The Jackie Robinson Story, has already been cast as Black Panther! And check out this Black Panther concept art! 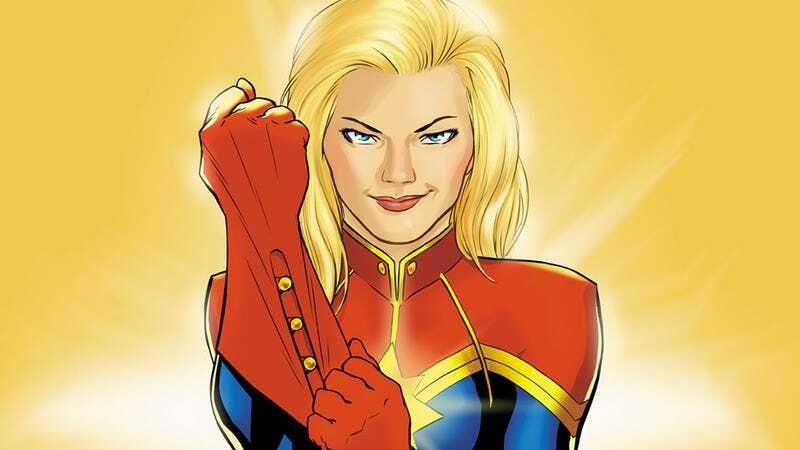 Just to be clear, Kevin Feige confirmed this will star Carol Danvers, not Mar-Vell. YESSSSS.